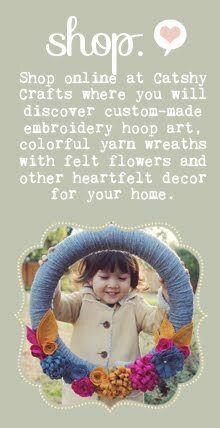 As I was photographing my felt embroidery hoop art to put in the shop yesterday, I realized that they could fall into various themes or categories. Groups of two or more looked great side-by-side, so I thought it would be fun to present them as Collections. Yup, with a capital "C"! The first was the "Sweets Collection" - 3 cupcakes and a lone ice-cream cone that I presented yesterday. I definitely have a sweet tooth so these are are right up my alley. The next collection is all about celebrating. Having fun. Throw a party. Even if it's just for yourself! "Let's Celebrate!" 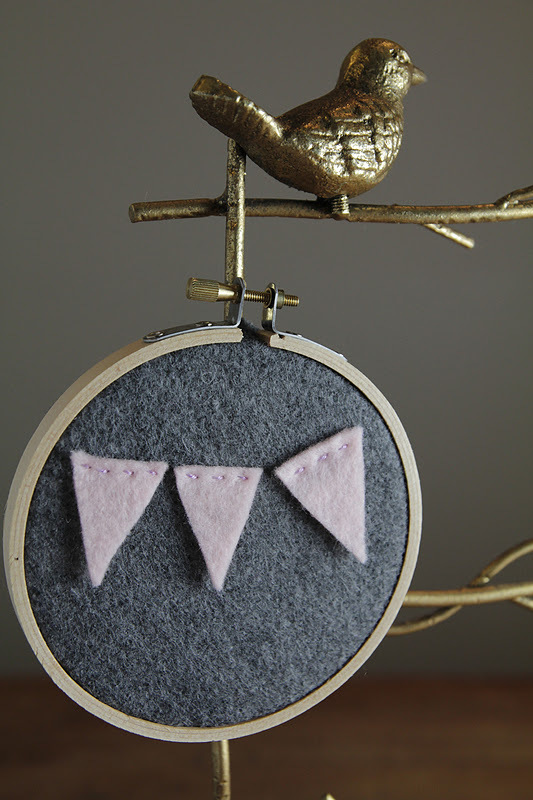 includes two adorable hoop arts with mini felt bunting/banner. The first one is pink and grey. I love that color combo. So girly and preppy. 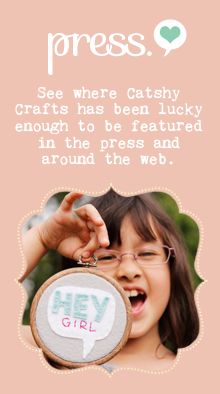 The little flags are hand-sewn at the top so that they have a little movement. The background is a charcoal grey felt. The second one is a bit larger. 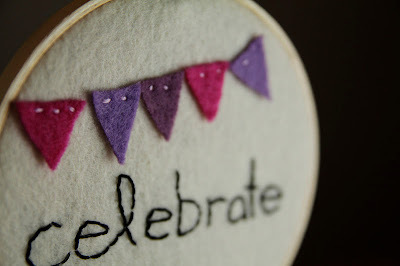 It has five mini flags and the word "celebrate" embroidered on a cream felt background. 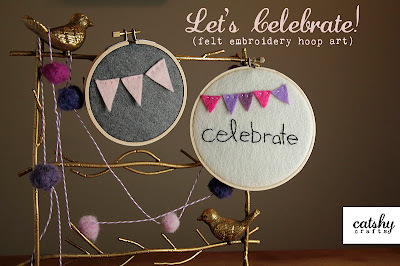 Couldn't you picture this has party decor at a baby shower or child's birthday? 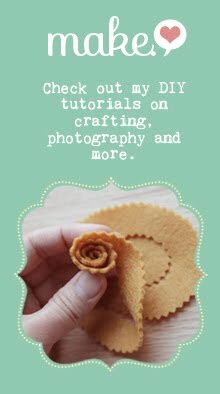 I'd love to know what you think! Thanks for visiting today!